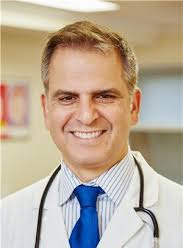 Dr. Morris Nejat is a physician specializing in Adult and Pediatric Allergy and Immunology. He is also the owner and Chief Medical Officer of NY Allergy & Sinus Centers. He received his Bachelor’s degree in zoology from Drew University before completing medical school at New Jersey Medical School. He accomplished his residency in pediatrics at North Shore University Hospital-Cornell University Medical Center. Dr. Nejat also completed a fellowship at St-Lukes Roosevelt Hospital-Columbia University College of Physicians and Surgeons. Dr. Nejat sees common cases of allergy and sinus issues with congestion and chronic cough. He is board certified with the American Board of Allergy and Immunology and the American Board of Pediatrics. 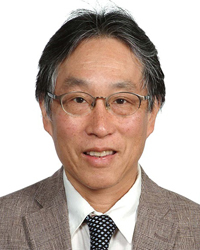 Dr. Robert Lin is a physician specializing in internal medicine with a sub-specialty in allergy and immunology. He received his undergraduate degree from the University of California, Berkeley before completing medical school at SUNY-Downstate. 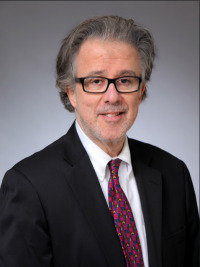 He has affiliations with both Weill-Cornell and New York Medical College. Dr. Lin receives referrals for patients with drug allergies. He is board certified with the American Board of Allergy and Immunology and the American Board of Internal Medicine. 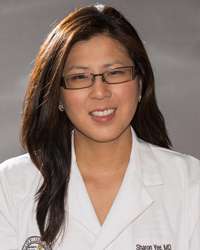 Dr. Sharon Yee is a physician specializing in allergy and immunology. She received a Bachelor of Arts in Biology from Boston University and a Master’s of Science in Biomedical Science from University of Medicine and Dentistry of New Jersey (UMDNJ). She later earned her medical doctorate from UMDNJ, and completed a residency in Internal Medicine at Einstein-Montefiore Medical Center. She is certified by the American Board of Internal Medicine. She is a member of the American Academy of Allergy and Immunology (AAAAI) and the American College of Allergy, Asthma and Immunology (ACAAI). Dr. Yee treats an array of allergic and immunological disorders, with interests in asthma, atopic dermatitis (eczema), and chronic urticaria (hives). She enjoys taking care of both adult and pediatric patients. 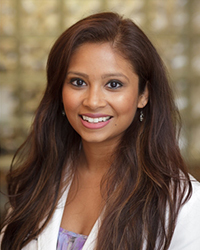 Dr. Sima Patel is a qualified allergist providing comprehensive medical care. She earned her osteopathic medicine degree from the Touro College and University System, New York. She completed a fellowship in allergy and immunology at Rutgers, the State University of New Jersey. Dr. Patel is board certified by the American Board of Internal Medicine. Dr. Patel treats patients for a host of common and specialized allergies. She understands the intricacies of allergy management and believes it is possible to achieve a fully healthy allergy management and treatment plan through collaborative efforts with the patient. Dr. Patel takes a genuine interest in researching and updating herself on various new advancements in allergy and immunology, so her patients get the best and the most advanced treatment possible. Dr. Lisa Moreno is a skilled allergist. She attended George Washington University, where she received her medical degree. She completed her fellowship in allergy and immunology at Schneider Children’s Hospital. She also completed a pediatric residency from the same institute. Dr. Moreno is board certified by the American Board of Allergy and Immunology and the American Board of Pediatrics. She accepts patients for a variety of reasons, including, sinus problems, ear infection, food intolerance/allergy, hay fever/seasonal allergies, and spirometry. She believes in the delivery of quality patient care that focuses on patient comfort and seamless recovery. Dr. Marc Braunstein is a physician specializing in allergy and immunology. He received his undergraduate degree from Brandeis University before completing medical school at SUNY Downstate College of Medicine. He accomplished his fellowship in allergy and immunology with University at Buffalo. Dr. Braunstein sees common cases of hay fever, asthma, food allergies, and drug allergies. He is board certified with the American Board of Allergy and Immunology, the American Board of Internal Medicine, and the American Board of Pediatrics. Dr. Bruce Dobozin specializes in Allergy and Immunology with a sub-specialty in asthma and allergic conditions. He received his medical degree from Stony Brook University School of Medicine and has been in practice for more than 20 years. Dr. Dobozin accomplished his residency in internal medicine at Mount Sinai School of Medicine. He also completed a fellowship at National Jewish Hospital/National Asthma Center of Denver (now known as National Jewish Health). He is dual certified by the American Board of Internal Medicine and the American Board of Allergy & Immunology. Dr. Tehila Saadia is a physician who specializes in both Pediatric and Adult Allergy & Immunology. She attended the B.A.-M.D. Program and Macaulay Honors College at City University of New York-Brooklyn College, and continued on to earn her medical degree from State University of New YorkDownstate Medical Center. She completed a residency in Pediatrics and a fellowship in Allergy & Immunology at SUNY Health Science Center at Brooklyn. Dr. Saadia is board certified by the American Board of Pediatrics and is a member of the American Academy of Allergy and Immunology (AAAAI); the American College of Allergy, Asthma and Immunology (ACAAI); and the New York Allergy and Asthma Society (NYAAS). 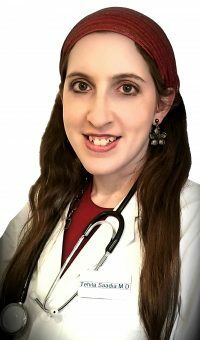 She treats a wide variety of allergic and immunologic disorders, with a special interest in food allergies, contact dermatitis and urticaria (hives). 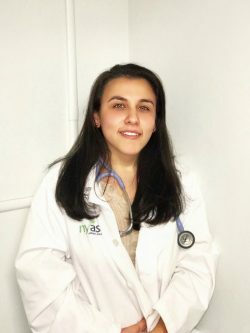 She enjoys empowering her patients to fully understand their medical conditions by providing thorough explanations of diagnoses and treatment options to her patients, with the ultimate goal of improving their quality of life. 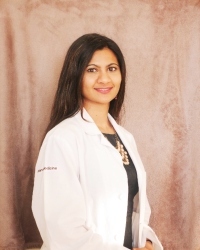 Dr. Shah is a board certified physician specializing in Adult & Pediatric allergy & immunology. She completed her undergraduate degree in Biology with a concentration in pre-medical from University of North Carolina at Charlotte. While she was getting her undergraduate degree, she was commended to the Deans list and graduated with University honors. She was also recognized in the Beta Beta Beta, a National Biological Honors Society. Dr. Shah completed medical School in Atlanta, GA where she was recognized as a member of Sigma Sigma Phi, an Honorary Fraternity. She then did her Internal Medicine Residency at Jefferson Health System of NJ. She received her degree in Allergy & Immunology from Nova Southeastern University in Miami, Florida. Dr. Shah has been involved in research since her undergraduate days and is very well published. She has authored and co-authored multiple journal articles. Dr. Shah is also a corresponding author of the Allergy & Immunology board-review book which is read by all physicians certifying and re-certifying for the Allergy & immunology boards. Kristyl Cuenca-Sisko has been working at NY Allergy and Sinus Centers since July of 2011. She has worked specifically in the field of allergy, asthma & immunology for the past decade. Kristyl holds a P.A. degree from the Wagner College/ Staten Island University Hospital Physician Assistant Program and is certified by the National Commission on Certification of Physician Assistants. Kristyl has also worked in pediatrics/adolescent health and internal medicine. She is an Allied Healthcare Member of the American Academy of Allergy, Asthma & Immunology, Fellow Member of the American Academy of Physician Assistants and a Sustaining Member of the New York State Society of Physician Assistants. 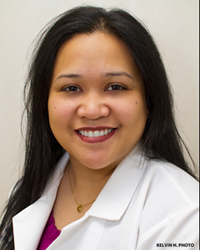 Toni Santiago is a registered and certified Physician Assistant who joined NY Allergy & Sinus Center in 2008. Toni became a Physician Assistant in 1998 through the program at Sisters of Charity Medical Center, NY. 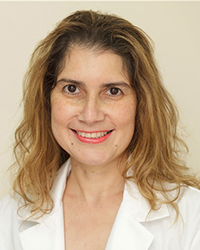 She has also served as an adjunct assistant professor with the Physician Assistant programs at St. Vincent’s Medical Center, Pace University-Lenox Hill Hospital, and at Touro College School of Health Science. 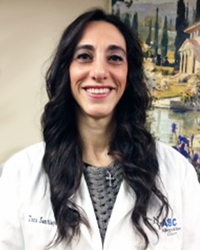 Prior to joining NY Allergy & Sinus Center, Toni served as a Physician Assistant in the general surgery department at Lutheran Medical Center. Toni finds helping patients with seasonal and food allergies extremely rewarding , as she has first-hand experience at home with her three children who also live with anaphylactic food allergies. 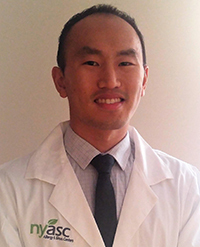 John Chu is a registered and certified Physician Assistant who has been with New York Allergy & Sinus Centers since 2016. He completed his undergraduate studies at SUNY Binghamton with a Bachelor’s in Chemistry and went on to work in environmental and analytical chemistry before obtaining his Master’s degree in Physician Assistant Studies from Touro College. 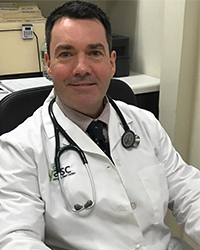 He focuses on both delivering high quality care to patients and educating patients about their allergy and asthma conditions. Martin Ronan is a certified Physician Assistant who joined New York Allergy & Sinus Center in 2015. Martin has a Bachelor of Science degree in Health Sciences and a Masters of Science Degree in Physician Assistant Studies from Touro College. He was awarded an Outstanding Academic Achievement Award and inducted into the Pi Alpha Honor Society. He is a member of the American Academy of Physician Assistants. 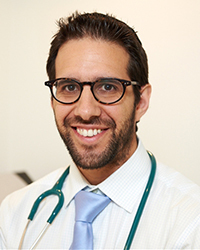 Jacob Wolfson is a registered and certified physician assistant at NY Allergy and Sinus Centers. He grew up in Rockland County, New York, and completed his undergraduate education at Lehigh University with a degree in biology. He then worked with patients in a pediatrics office for a year before beginning physician assistant school. 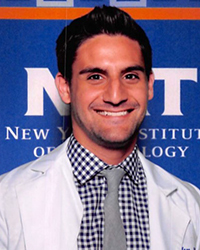 Jacob obtained his masters degree in physician assistant studies at NYIT in Old Westbury after completing clinical rotations in several locations throughout Queens, Brooklyn, the Bronx, and Long Island. Esther Isakova is a physician assistant at NY Allergy & Sinus Centers. She completed her undergraduate degree in Psychology from the University of Arizona. She then went on to earn her Master’s in Physician Assistant studies from Alderson Broaddus University. Esther is a member of the American Academy of Physician Assistant and Hu C Myers PA.